Enter our Photo Contest - and win $250! 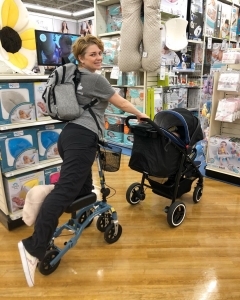 We love seeing our knee scooters in action! We have seen photos of our customers vacationing all over the world on our knee walkers, from the Grand Canyon to Morocco and in all parts of their daily life. The stories are always uplifting to hear how much relief and freedom using a knee walker added to a customer's recovery. If you need some inspiration ? 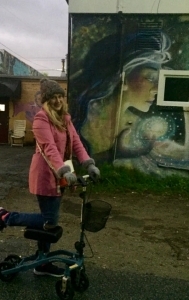 take a look at these happy people on their knee scooters. will be awarded to the best knee walker photo sent in by June 30th 2019. We are looking for great shots of you on your knee walker, whether posing or while in use. We really enjoy seeing them help you in your daily life! The winning photo will of course show the model being used in the proper manner and have a clear view of the knee walker itself. So get creative and have fun - and get shooting! How to contact you, if you win! We announce our winners on social media! Please provide your social media accounts either Instagram or Facebook so we may tag you in the photo. You can include the #RAKWPhotoContest for Instagram submissions. Click the 'Browse' button and select the photo on your computer you would like to send. Make sure your photos are in jpeg format. 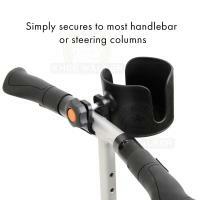 How did your knee walker help in your recovery? • The photo contest is open until 11:59pm EST June 30th 2019. • Persons must have rented through RentAKneeWalker.com and be listed as the billing name, shipping name or user name on rental. • The winner will be picked by the RAKW Team--the judges' decision is final! 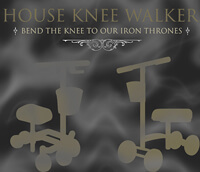 • The winner will be announced on the Rent A Knee Walker website on July 15th 2019. 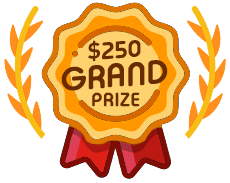 • The winner will be awarded the grand prize of $250 via check. • By entering and uploading your photo you agree Rent A Knee Walker may use the photo for any reason, with no compensation or rights to the photographer, location, or persons in the photo.